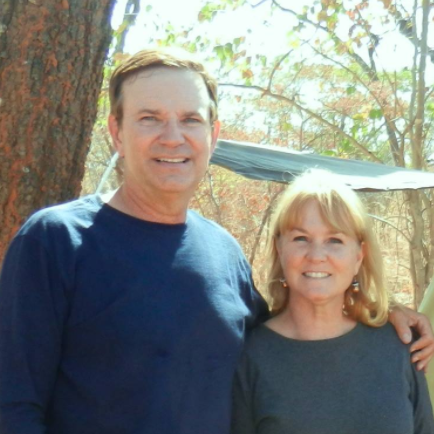 Cancer survivors, Jack and Beverlie Fuller, have dedicated their lives to evangelizing and discipling the unreached rural villages of Southern Zambia with the gospel of Jesus Christ. Posted on June 23, 2015 by fullersmission. This entry was posted in Afica, Africian Food, Blog Posts, Harp, Newsletters and tagged adventure, africa, Almighty, christ, Healing, human-rights, learning. Bookmark the permalink. Fullers Mission: Twins! Zambia & Malawi! 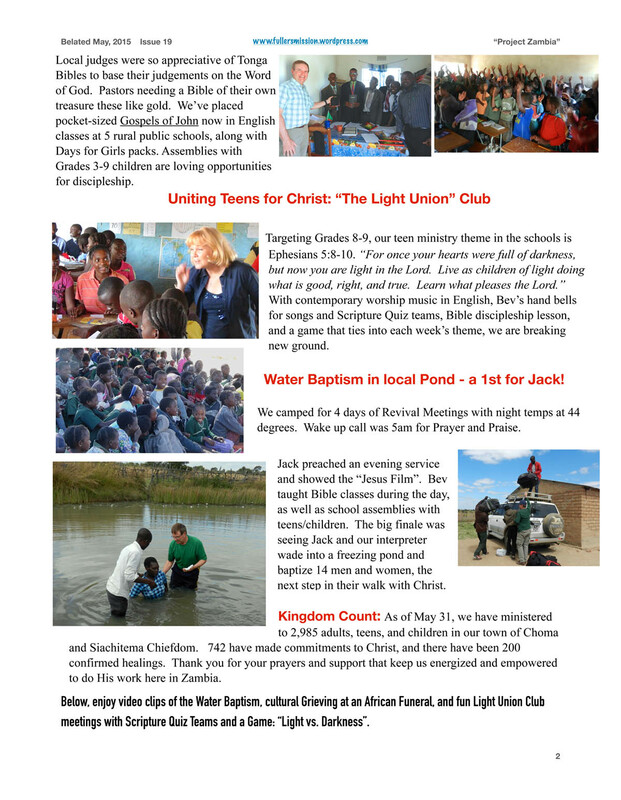 Fullers Mission: News Flash! Where Fuller’s Go Next! Fullers Mission: Yikes! A Deadly Snake! Fullers Mission: Don’t Have a Drum? Use Your Friend’s Head!